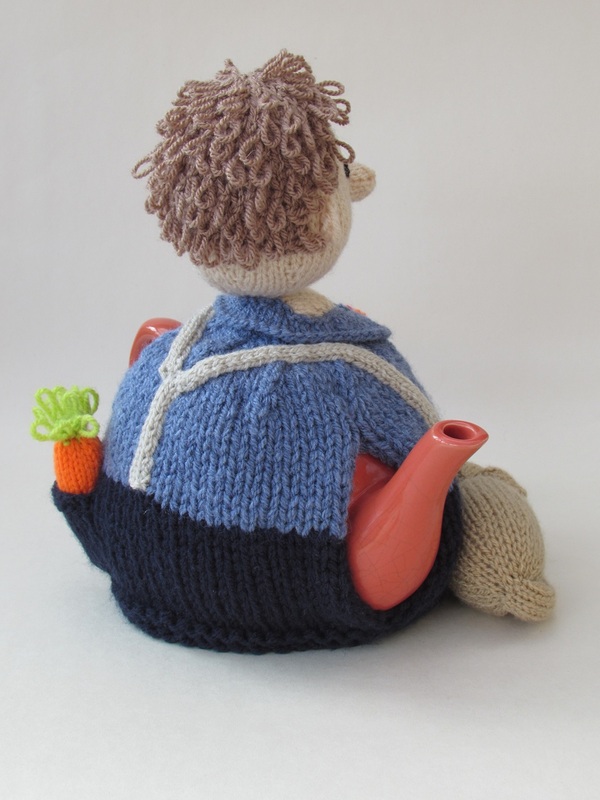 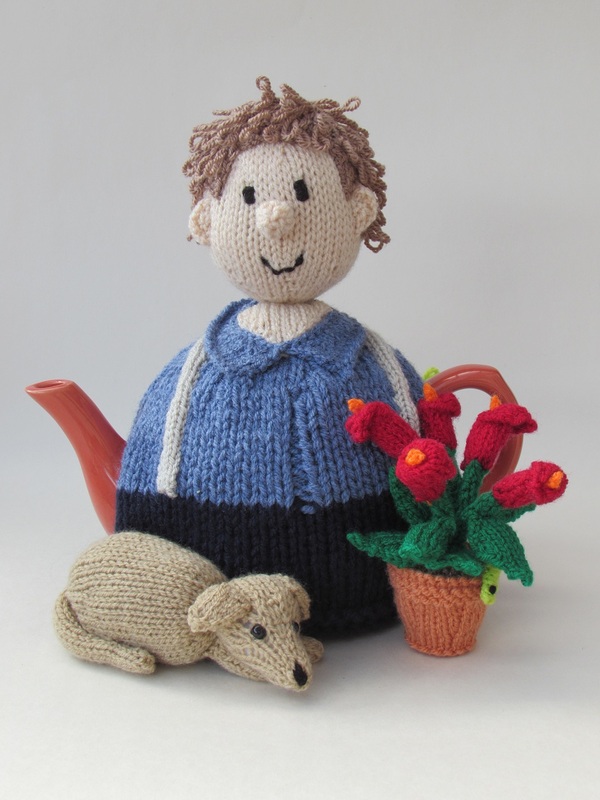 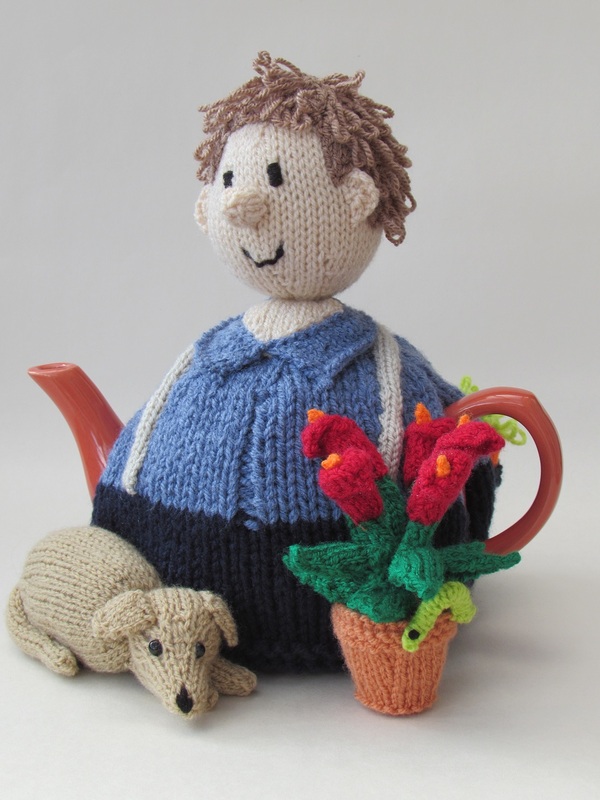 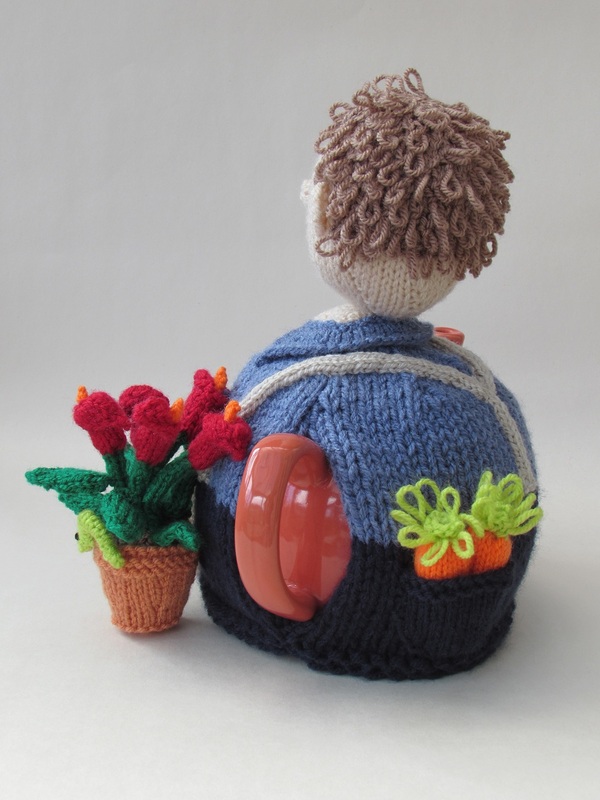 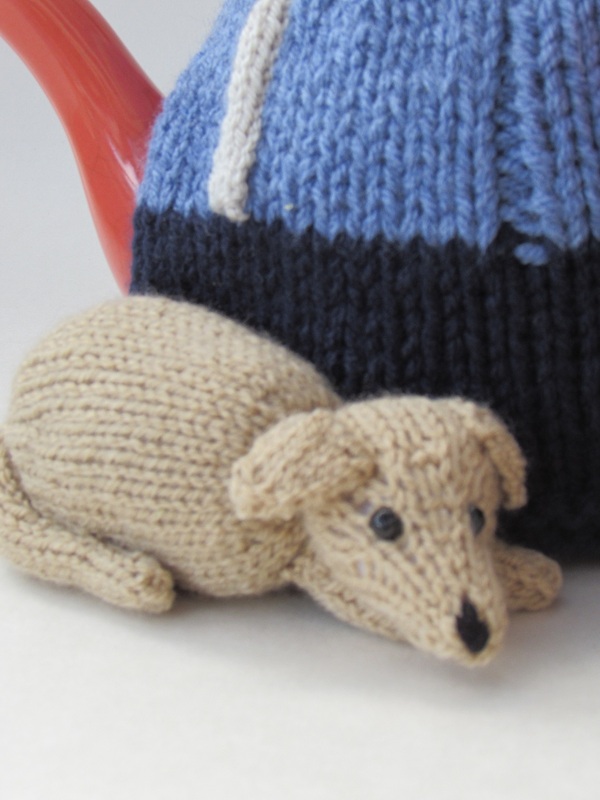 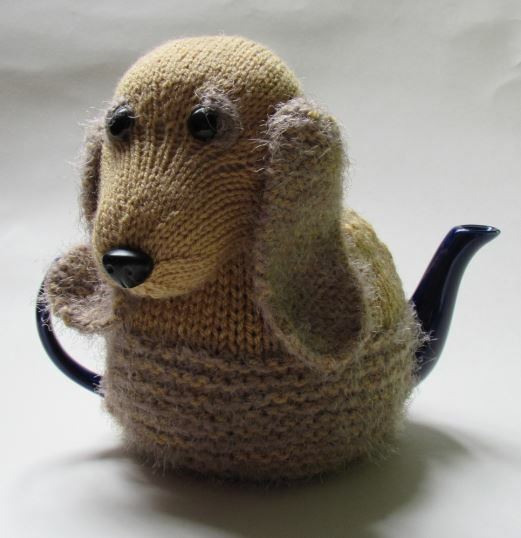 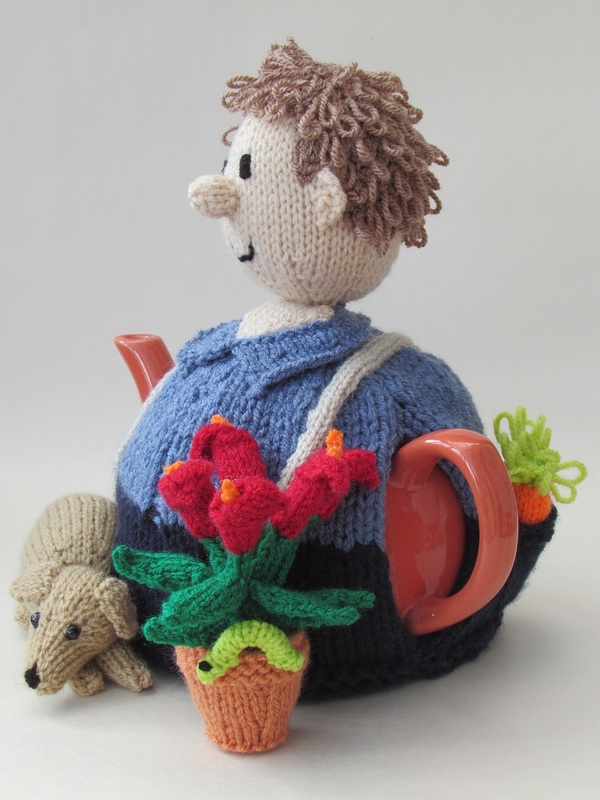 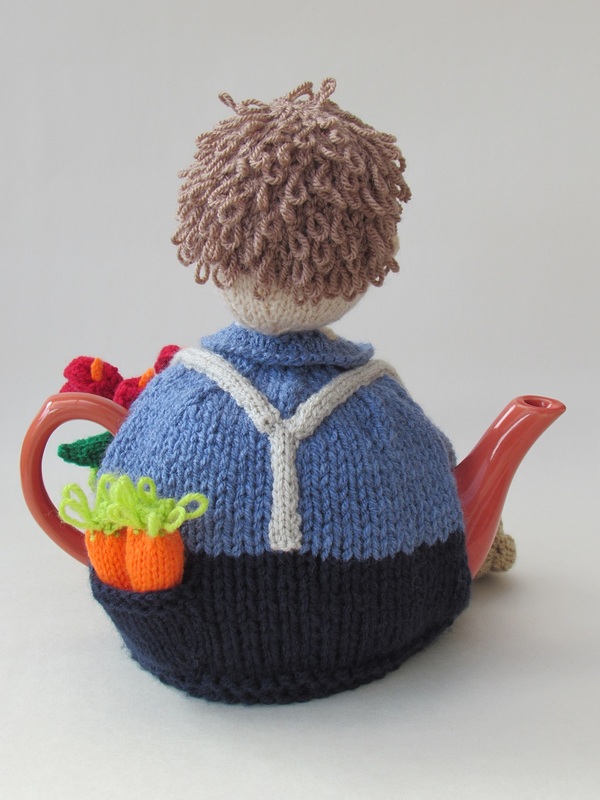 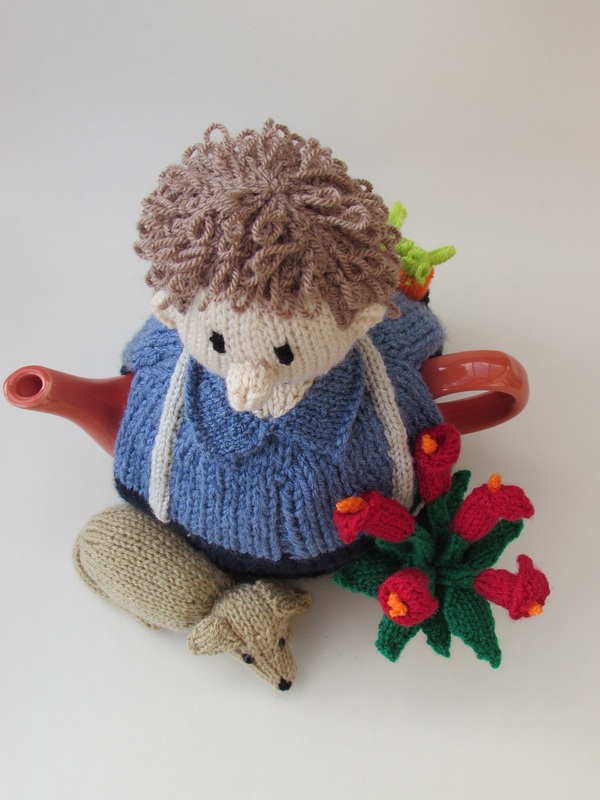 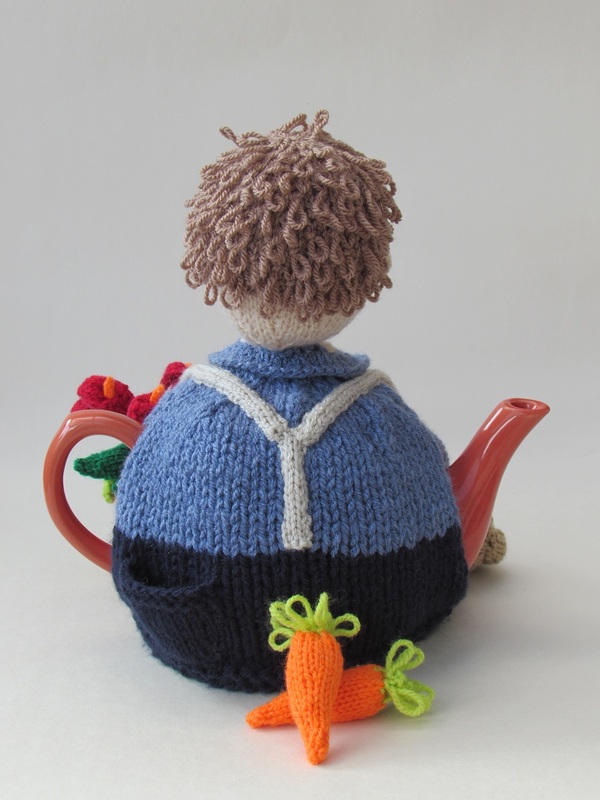 The Gardener tea cosy is a lovely little tea cosy based on horticulture. 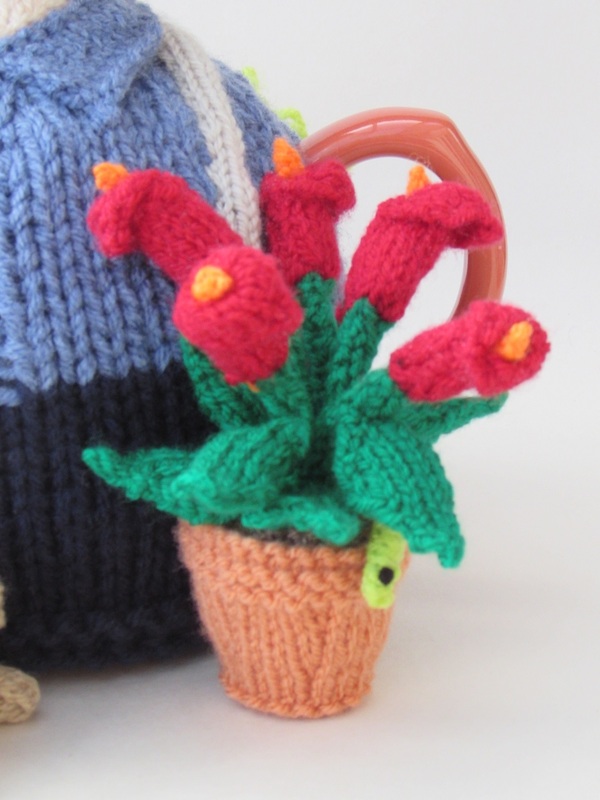 The gardener had a potted calla lily and a pocket of carrots that he has just pulled from the ground for his tea. 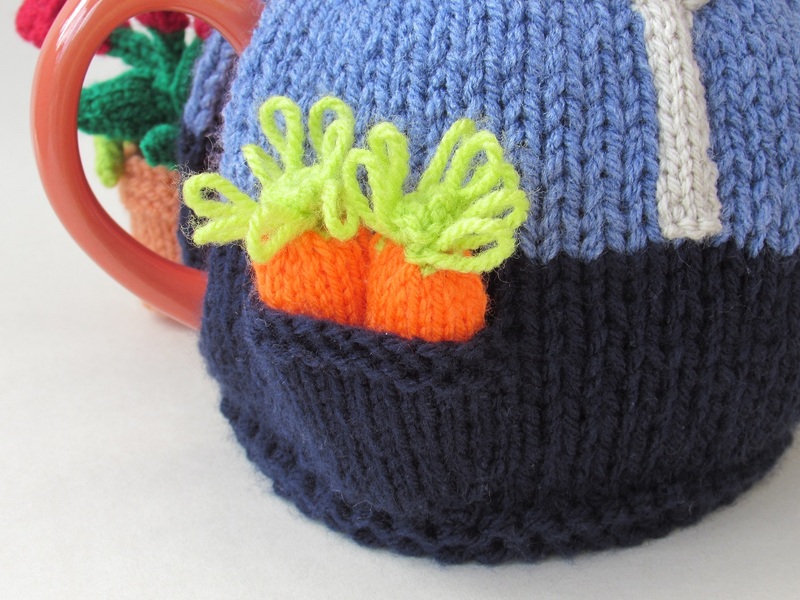 The carrots are removable. 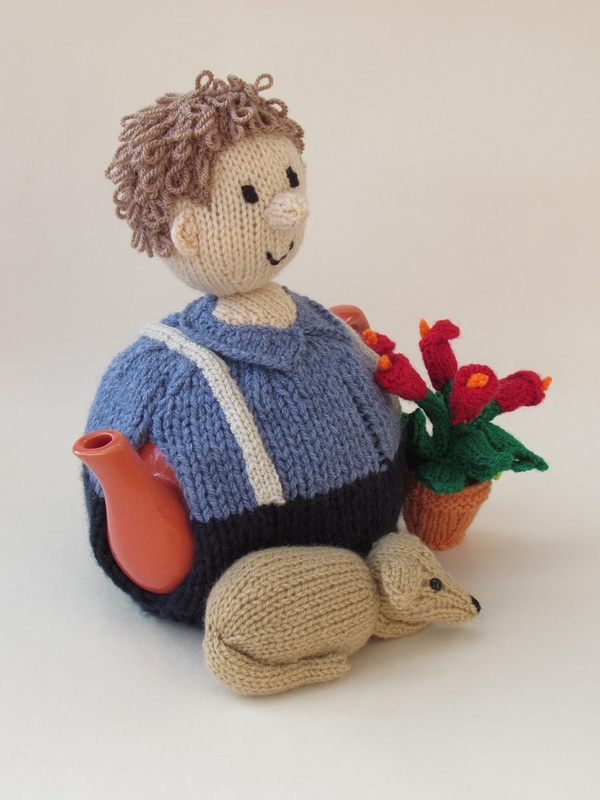 The gardener has a couple of friends, is faithful friend the golden retriever, who looks bored of gardening and is settling down for a snooze. 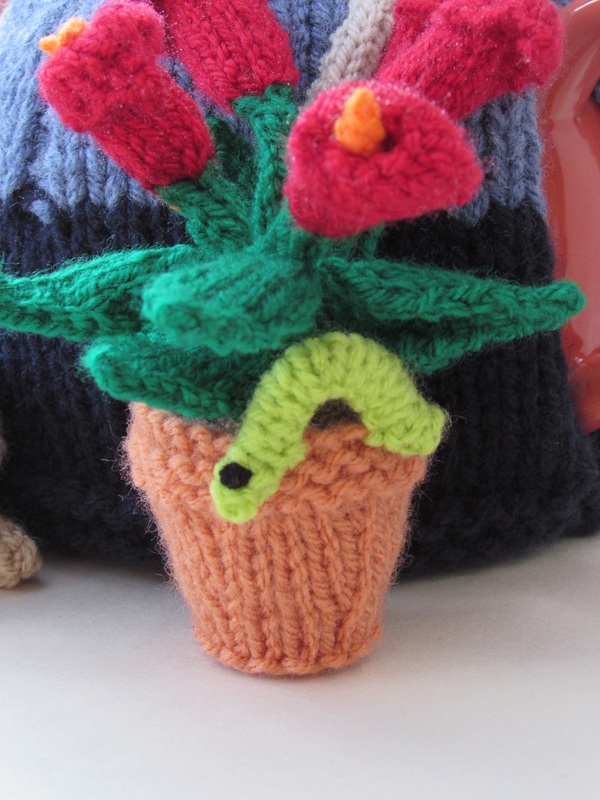 And their is a little capillarity creeping around the plant pot of the calla lily. 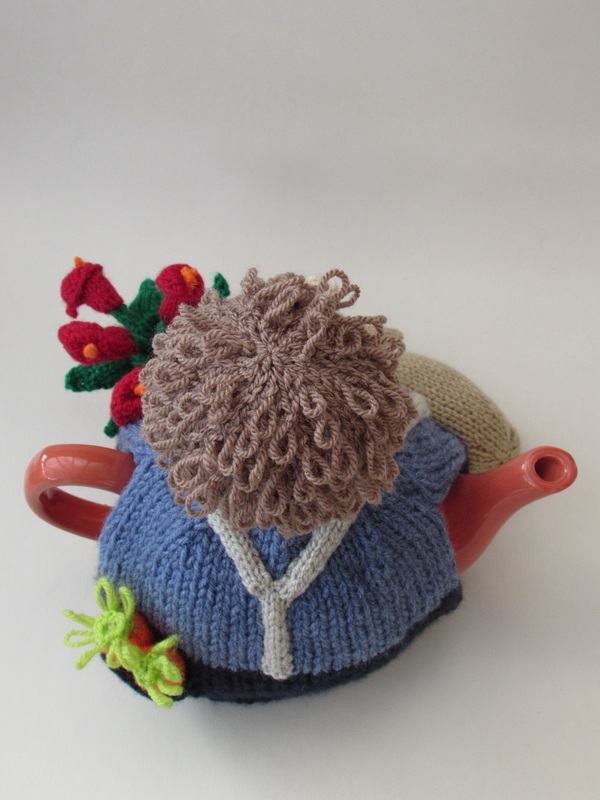 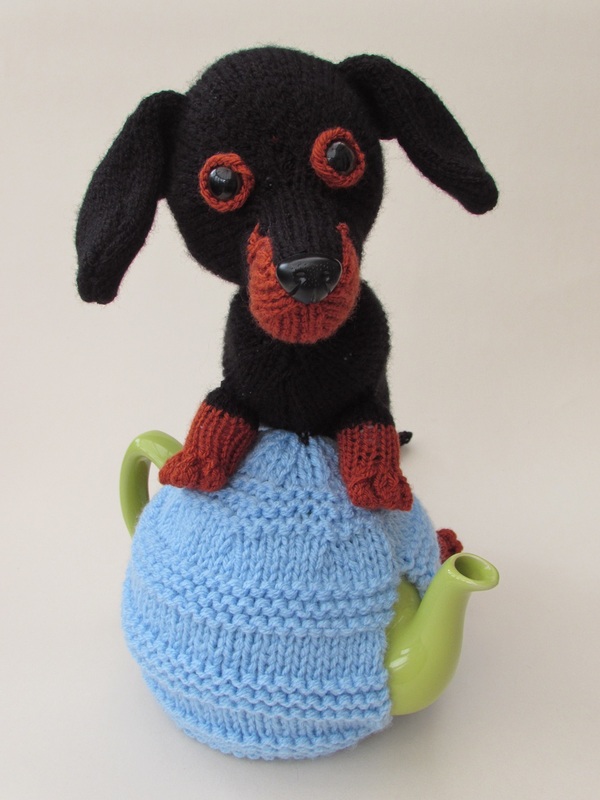 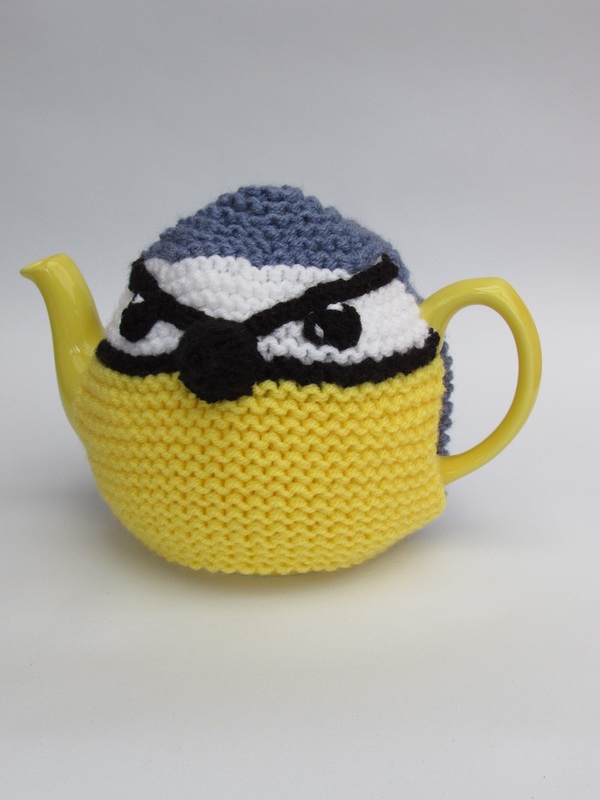 The gardener tea cosy is knitted with double thickness yarn to keep the teapot really hot, ideal if you are going to take tea in the garden. 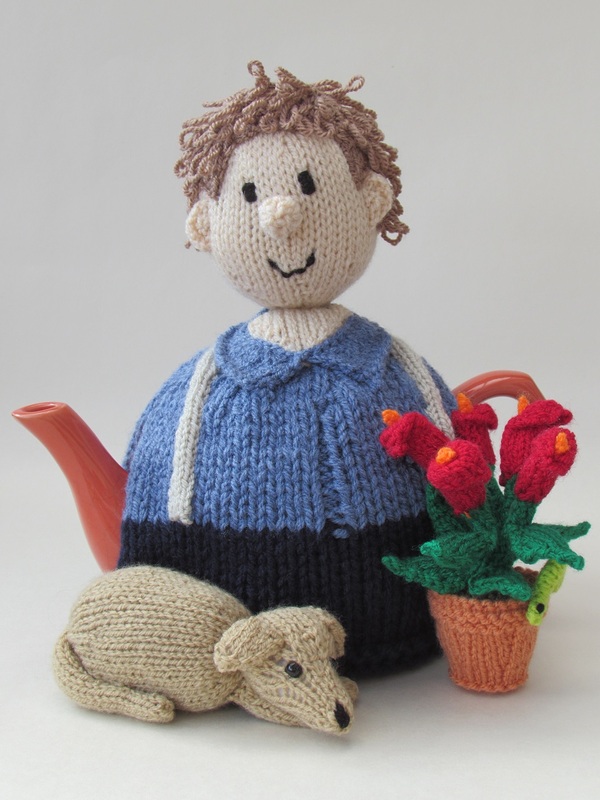 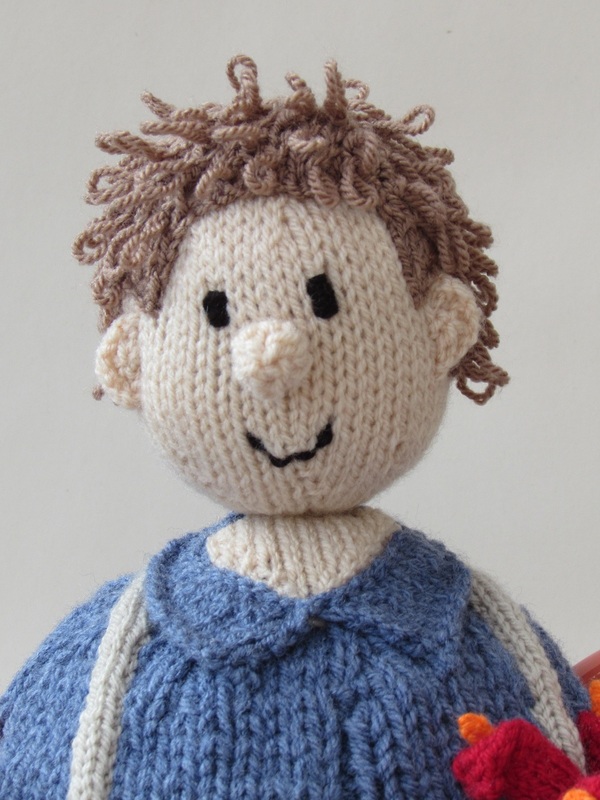 There is a lot on this project to knit, but the knitting pattern is easy to follow with clear instructions, and will give you many hours of creative pleasure.